Tatum is a very nice player (and played great in the playoffs with the Celts 2 other pups), but this love fest is getting ridiculous. Kuz was every bit the player that he was last season. The fact remains that its not how you start the race, but how you finish. I still believe in ZO and those who are crying that we passed on Tatum will hopefully (no disrespect intended) eat their words. Extra big on Kuz of course, I think Tatum is a killer of killers in the making but yeah, I hope Lonzo's the better player in the long run no doubt about that. Its all about the Lakers at the end of it. I kind of hope not. That would mean we lost out on the FA we have lined up pieces to acquire. By ”next year” I'm sure that Jim was referring to this upcoming season (2018-2019). Even so, what if Kuzma becomes a top scorer and all star? Same could be said for BI. No limits on what these kids can become..
How crazy would it be being one of the Lakers youngsters. 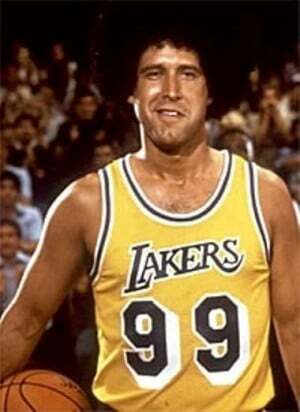 They have the chance to pick the brain of, work out with, or play with either Magic Johnson,Kobe Bryant, LeBron James. Off topic but just happened to be watching this.. Kobe locking up TMac and going on a scoring binge.. I miss the hell out of these days. You just made me realize we could have had lebron and Tatum AND kuz. It’s like Kareem rush over tayshaun except at the top of the draft. ”Kuz was every biy the player that he was last season”, bro I love kuzma and tatum is light years ahead of kuzma. tatum projects to be a #1 scorer on a championship team, kuzma is more of a klay type guy which is not bad either. Tatum may also possibly come off the bench this year.....like there is a legitimate chance this happens. come on man, we're still posting ppg stats in 2018? Dude you posted posted Ingram's TS in his rookie year. He is a completely different player. Dont forget he came into the league pretty much a year younger than every other one and done. Also Tatum had the luxury of playing under legit stars and veterans. Yeah, that was an honest mistake there. He was at 53.6% last year. Still the lowest of the 3, but not as bad. I didn't get into the whole "role/responsibility" stuff because it was only a response to the claim that "Laker hate" was informing some 2k ratings. We're basing this on hypotheticals ("If you switched Tatum and Ingram's roles") but these things are usually based on actualities and Tatum put up the better numbers. But would the block/steal rates have been different? While I agree on Tatum being better, their roles were completely different, which I strongly believe led to Tatum's efficiencies and Ingram's inefficiencies. Boston isn't exactly making Tatum run an offense. Ingram OTOH, hit 40% of his open 3-point shots. 24 f'ing pages about something concerning a leprechaun. Time to lock this shizzt up. Tatum also has age on his side. Okay I'm tired of this narrative because someone is younger they will be better than Kuzma smh.Who would you rather have on your roster Derrick Williams or Jimmy butler?Well coming out of the NBA draft Derrick was seen as the Superior Prospect but as we all know Jimmy Butler became the better player Jimmy Butler stayed in school and was seen as not having an upside is Derrick Williams for guess who's the better player.Now Kuzma can score any way imaginable I don't see why people don't see his upside ?he's only 23 that's not old at all people act like because he's 23 he's already at his peak lol.By the way Williams was the 2nd player taken in that draft Butler was 30th. My sentiments exactly bro.... I dont want Tatum, he is a Celtic... 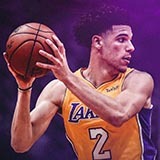 I like who we picked...Lonzo is gonna be a really really good basketball player... Plus we have Kuz,(who i think is gonna win 6th man of the year, and average 19ppg) This dude is puttin in the work, he is gonna get better next year, somebody said his vertical improved by 9". There are gonna be lineups on the floor where I dont know what other teams are gonna do to stop us. The difference is what you mentioned, upside. A player 3 years older is 3 years closer to his physical prime. What matters is how they work in the years leading up to their primes. The younger player has more time to perfect his game. I understand that but that is no guarantee that a younger player will reach his potential ,so if a Player like Kuzma comes out his rookie year and kills it that doesn't mean he's reached his peak he's only 23 lol. All I'm saying is people are so quick to make it seem like Kuzma can't get better because he's older and that's nonsense he has the desire to be great and the mindset and work ethic you just don't put a cap on those types of players ijs. The thing with Tatum and his age, is that you’re not supposed to be that good at 19. For all of those guys that are jocking Tatum, which TEAM will you be rooting for??? Yeah really. Sorry if people are mad about missing out on the GOAT Jayson Tatum, but he ain't gonna be a Laker. Get over it. It’s almost unprecedented. Extremely rare at worst. And has no bearing on which team a person is rooting for. I would be thrilled if Kuzma or Ingram become the legitimate #2 (trending towards #1) and the necessity for needing to sign a FA for that role became less important. Means that one of the young group earned All Star level recognition and the team is stacked as they add other free agents. Give me multiple young players competing for that #2 role. Tyreke Evans wasn't quiet 19 (he was 20) but he is the only rookie besides MJ, LeBron and Oscar to average 20, 5 and 5. And Tyreke is a solid player but never really reached the heights people expected based off of that rookie season.